Has it really been a year and a half since I posted my two part post on the various types of fun that games can provide? Unless WordPress is truly messing with me, it has! Perhaps surprising to no one, I missed some key types of fun in that original list. Today, I want to closely examine one of the missing types: collecting. People collect all sorts of stuff. 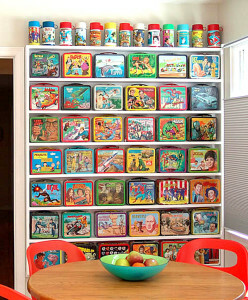 Image from decoist. When did people start collecting things? Tough question. While sedentary lifestyles certainly make collecting more realistic, I wouldn’t be surprised if our nomadic ancestors maintained collections for at least short periods of time. Collecting seems to be universal and fundamental to the human experience. Today, people collect all sorts of things. Stamps and baseball cards are the traditional American collector’s items, but coins, stuffed toys, memorabilia, and any number of other treasures now make up collections across the globe. People collect anything and everything. 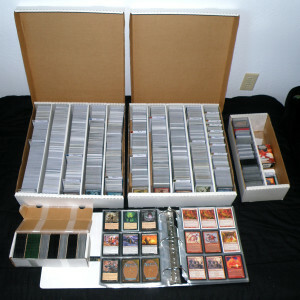 Collecting exists frequently outside of games, indicating its affect on a person’s emotions and psyche. It’s a very powerful activity, and harnessing that motivation in a game leverages a lot of built in behavior and strong, positive emotions. What’s so appealing about collecting? Again, tough question. I do have some theories, though. Structures behavior. Collecting offers very clear goals. It directs behavior in a straight forward and obvious way: always get the next thing when the opportunity arises. That simplicity and focus is appealing. A chain of goals. When you start a collection, you don’t worry about the entire collection. You worry about the first item in the collection. When you get that first item, you feel good, like you’ve made real progress. And then you can search for the next item. Once the joy of collecting individual items dulls, you can strive to collect subsets (all of the members of one sports team, for example). Before you know it, your goal will be to collect the few individual items you need to finish the whole collection. This natural progression of goals, each within reach from the last, makes a big undertaking feel much less overwhelming. Natural difficulty ramp. Many collections involve items that are common and items that are rare. You start by collecting common items, which is easy. As you get through the common items, you’re left with more challenging items, but you’ve also gained experience. The difficulty of collecting scales with your abilities. Trophy room. One of the most satisfying parts of collecting is taking time to admire your accomplishments. Not all types of collections allow you to easily do this, but many physical collections let you look over them and feel a sense of success all over again. Bragging rights. What’s better than admiring your own collection? Showing off to a friend! It gives you something to talk about, it presents an opportunity for compliments, and it brings up stories. Fellow collectors can give each other tips, and trading and bartering are fun ways to interact between collectors. Given how much fun collecting can be outside of games, it should not be surprising that games have made use of collecting for a very long time. A comprehensive list of collecting in and around games would be hopeless, but I’ll do my best to hit the highlights. Feel free to expand the list in the comments! 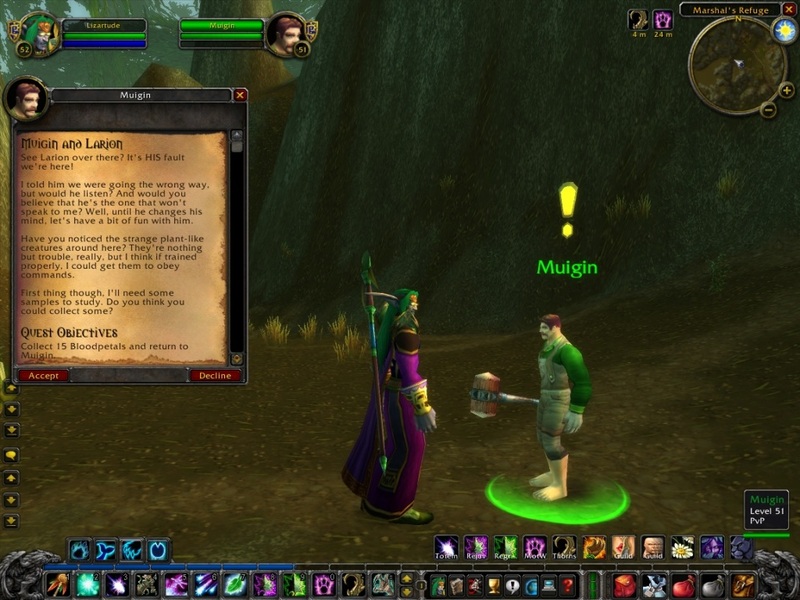 Many quests in games like World of Warcraft boil down to collecting. Image from the Sandbox MMO Observer. Set collection. Many games make use of this simple implementation of collecting, from Rummy to Ticket to Ride. Players identify a set of components (like ‘4’s or blue cards) and then strive to collect members of that set. While traditionally used in card games, many other games make use of the same principle, such as many quests in MMOs like World of Warcraft. Loot. Perhaps perfected by the slot-machine-like Diablo series, many RPGs and dungeon crawlers have near limitless weapons, armor, and equipment that randomly drop from monsters. Players aren’t forced to collect items, but they choose to, both for the abilities the items grant and for personal style. Catch ’em all. Perhaps the most successful and fundamental implementation of collecting within a game is Pokemon. 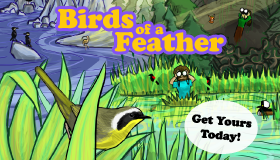 On the surface, the player explores an expansive world, battling rivals. But the game’s really about seeing and owning the hundreds of pokemon that inhabit the world. Pokemon‘s fundamental mechanic is collecting, and many features of the game support that: players trade pokemon with each other; specific pokemon only appear in certain places, forcing the player to hunt; some pokemon are much rarer than others, providing various levels of challenge. Achievement unlocked. Pokemon may be king of collecting in game, but many games make use of collecting to structure their meta-games. From unlocking all of the levels in Super Mario World to the unending lists of achievements in every X-Box game available, giving players accomplishments to collect outside of actual gameplay can prolong the game’s life and enhance a player’s relationship with the game. 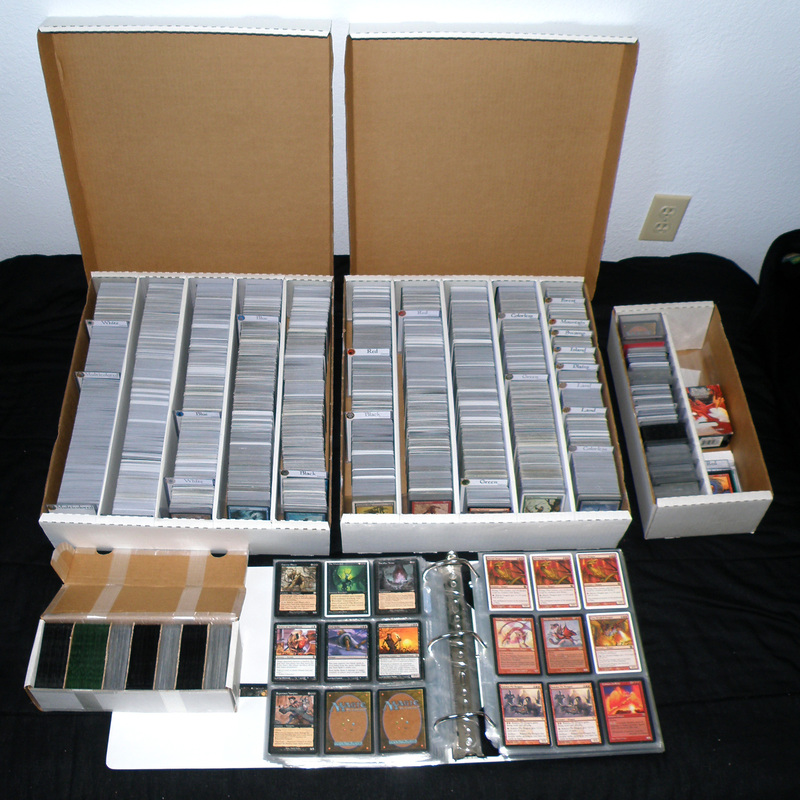 Though it happens out of game, Magic collections can get huge. Image from Master Marf. Booster packs. Anyone who has played games over the last 20 years has heard of Magic, the first and most successful collectable card game. The game style and business model have spawned countless similar games, most recently the digital Hearthstone. During gameplay, players don’t collect much. But the meta-game is all about collecting. Players open packs containing random cards to add to their collections; cards of different power levels and complexity are available at different rarities; trading helps facilitate friendly social interaction between players. An endless stream of new cards ensures that a collection will never be complete. Expansions. Collectable card games may incorporate collecting at the core of their meta-games, but all sorts of board games have taken advantage of consumers’ collecting tendencies with expansions. Players are happy to buy every installment of their favorite games, and evergreen games like Dominion and Ticket to Ride make sure there’s always something new for fans to collect. Before I wrap up today, I want to talk a little about what you need or might want in a game to support collecting. Few games need all of these aspects, so consider which would actually add to your game and what would bloat it. Stuff. I feel pretty confident that any game that involves collecting needs something to collect. What exactly that is can vary greatly. Maybe it’s cards. Maybe it’s power-ups. Maybe it’s monsters. Maybe it’s accomplishments. Whatever it is, your players need something to collect. Variety. Some games get away with little variety in collectables, like collecting the members of a suit. Most games can’t, though. Having lots of different collectable items keeps interest high as players always encounter new things. To make things even more interesting, make some items common and others rare, and vary where and when items are available. Functionality. In some games, collecting is purely for the sake of collecting, like achievements. In other games, collecting can unlock content or offer rewards, like earning 1-ups in Mario by collecting coins. But to fully take advantage of collecting in games, make the collectable items affect gameplay, granting the player extra powers or letting her customize her experience. Uncertainty. Sometimes, people don’t like uncertainty. The unknown can be scary. But if you know you’re getting something, not knowing exactly what is very exciting. It’s like unwrapping a present. Keeping players guessing about what they’ll get will keep them coming back. Many people are collectors by nature. Supporting that basic behavior in your game can not only leverage a lot of basic human actions, it also leverages the many positive emotions associated with collecting. I’ve seen this in video games, where I try to get all the different guns, armor, or pets. 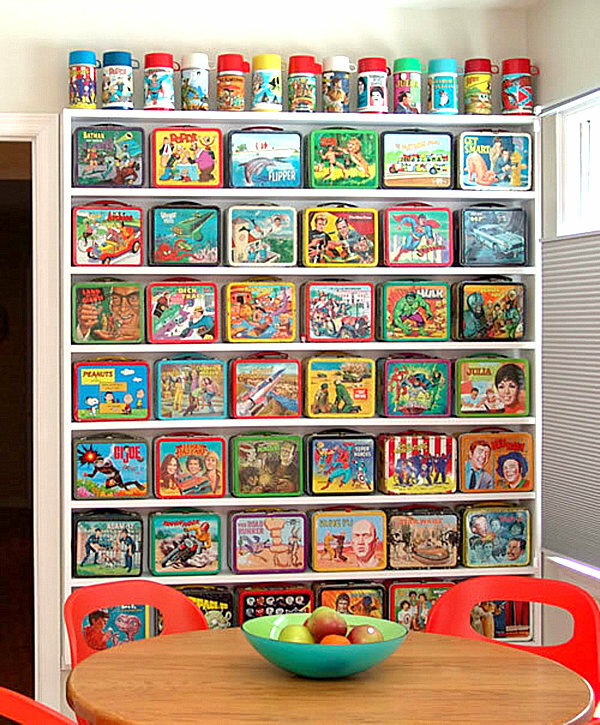 Note that collecting can become obsessive, to the point where it becomes hoarding. That usually happens when the collector has suffered a personal loss, or has a mental illness. It can be nice to have one small area you control when the rest of your life is circling the drain. While you’re playing w/ your collection you don’t have to think about your unsolvable problems in the real world.